The other day as I was walking past the beautiful displays of sporting arms from the 16th to the 19th centuries in our new special exhibition Art of the Hunt, I found myself completely awed by the beauty of the utilitarian devices being exhibited. It seems like everything made during the age when monarchs ruled is so beautiful. I began to feel a bit nostalgic about the pageantry associated with nobility. Even though I was born hundreds of years after the golden age of monarchy, it’s still become a part of my life through bedtime stories and countless movies. Later on, as I was researching the exhibit online, I came across the video below explaining why having a monarch is good for a nation. As I researched deeper into the subject, I found several articles and videos describing the benefits of monarchy. Some of them even suggest that the United States would be better off if we had a royal family to stir up national sentiment and unite us more strongly. So in today’s edition of Beyond Bones, I thought I’d present some of the points made by pro-monarchists and see if they hold water. It should be noted that by “monarchy”, I mean constitutional monarchy, a system of government where a monarch shares power with a constitutionally organized government. I think we can all agree that absolute monarchs have no redeeming values. 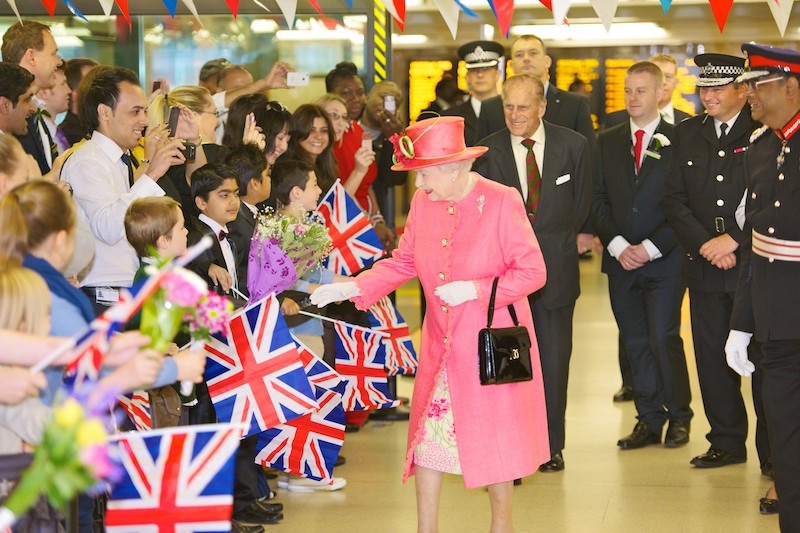 Queen Elizabeth II visiting Birmingham in July 2012 as part of her Diamond Jubilee tour. Author: West Midlands Police.Source: Wikimedia Commons. Since monarchs do not rely on a particular political party’s support in order to maintain their office, they are not bound to favor one party over the other. Advocates of monarchy say that kings and queens exist “above politics”. Because they are not career politicians who rely on popular votes to maintain their position, they can focus on supporting legislation that they believe is good for their nation as a whole rather then aligning themselves with a particular party’s political agenda. 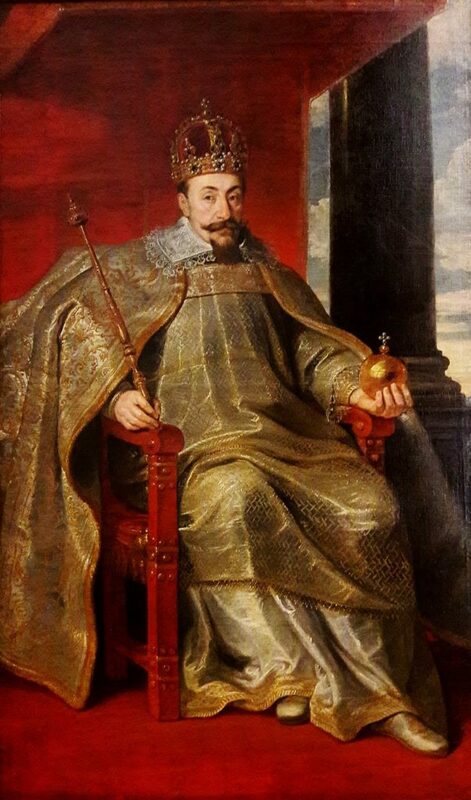 Sigismund III of Poland holding a sceptre and globus cruciger as symbols of monarchical power, circa 1624. Source: Wikimedia Commons. Monarchs have as much money and property as they need, and because their wealth is inherited and they do not work for or own private companies, the public does not need to worry about hidden financial motivations. King George III of the United Kingdom, Portrait by Allan Ramsay, 1762. Source: Wikimedia Commons. This one applies to constitutional monarchies in general, but I’ll use the British royal family as my example since they most often get cited in debates about the expense of having a monarchy. In the UK, the Queen receives a sovereign grant each year. The money for the grant comes from revenue generated by the Crown Estate. The Crown Estate is a collection of land and holdings in the United Kingdom belonging to the British monarch. Historically, British monarchs funded the government with revenue from these holdings. 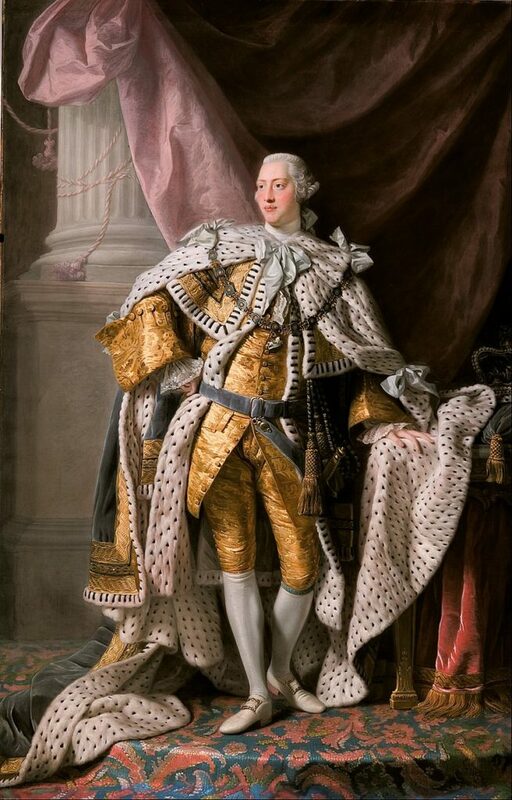 Then, in 1760 King George III surrendered control of the Estate’s revenues to the Treasury, basically making the issue funding the government their issue, not his. In return for surrendering revenue from the Crown Estate, George received an annual grant that functioned a bit like a salary from the government. This ended up being a pretty good deal for Parliament. Each year, the Crown Estate generates hundreds of millions of dollars in revenue, and only a small fraction of that goes towards paying the Queen (last year she was granted 76.1 million pounds). Every time a new monarch ascends to the British throne, they are asked to agree to sign over the profits to the Crown Estate. So far, every monarch since George III has done so. If the UK were to abolish its monarchy, the Royal family would reclaim their lands and as a result taxes in the U.K. would actually go up. 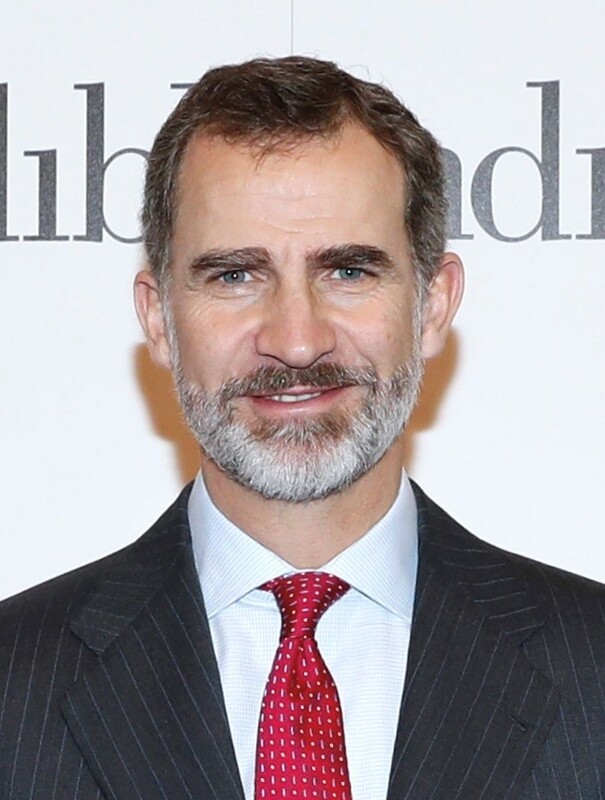 King Felipe VI of Spain, January 2018. Author: Cristina Cifuentes. Source: Wikimedia Commons. It is their symbolic importance that arguably represents the most valuable aspect of monarchs. In the U.S., many people criticize constitutional monarchs for being mere figureheads, but a symbol can be a powerful weapon against corruption and disunity. Recent events in Spain serve as a good case in point for this assertion. In October 2017, the Spanish region of Catalonia held an illegal referendum to vote for their independence from the rest of Spain. In response to this act of disloyalty, the Spanish Government sent troops to block polling stations. In the end there was bloodshed as angry Catalans clashed with soldiers and police. In the midst of all this chaos, Spain’s King, Felipe VI, managed to serve as an arbiter between clashing political parties. His powerful role as a national symbol has served to reunite Spaniards. This situation has underlined the importance of having a non-partisan head of state who can unite the people in spite of turmoil between various political factions within the nation. Speaking of Spain, in the video above the speaker in the Tedx Talk points to Latin America’s independence from Spain as a prime example of the dangers of abandoning monarchy. In the early 19th century, Spain’s New World empire collapsed as nation after nation declared its independence from the colonial power. In the wake of these revolutions, most of the newly-formed Latin American nations spent decades embroiled in civil war, ultimately ending up ruled over by oppressive totalitarian regimes. The speaker seems to be suggesting that Latin America would have been better off as a series of Spanish commonwealths. This brings me to the next section of this blog, the part where I tear all of the pro-monarchy arguments listed above apart. So we’ve laid out some of the arguments commonly made for why monarchy, or at least constitutional monarchy, is a good thing. Now let’s see if these ideals hold up in the real world. 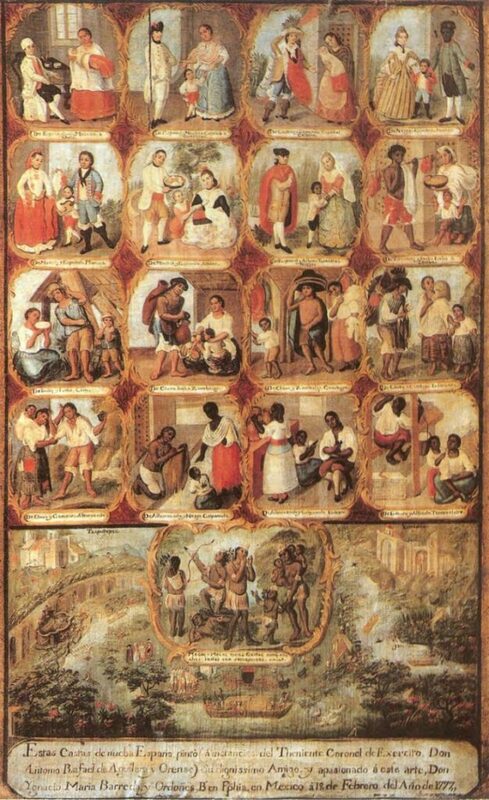 Depiction of the caste system in Mexico, 1777. Source: Wikimedia Commons. Concerning the point made about Latin American political history cited above, I honestly believe that the Latin American situation is a little more complicated than the speaker makes it out to be. Most of the newly independent nations that emerged in Central and South America after the decline of Spanish rule attempted to establish Democratic Republics modeled after the United States. These governments faced civil unrest, but no more so than the United States did in its early years. Their failure had nothing to do with a lack of unity. The real reason these country’s experienced so much political strife was more economic than civil. For centuries Spain had stunted the economic development of its colonies in order to keep them dependent on their mother state. Colonial citizens were banned from participating in certain industries, and technologies such as the printing press were restricted. As a result the economies of these countries relied on agriculture and the exportation of raw materials. After gaining their freedom from Spain, many Latin American Nations found themselves at the mercy of European investors who bought their crops and raw materials and invested in their infrastructure. These investors became a powerful political influence in the fledgling nations. The political corruption that resulted from this situation was followed by popular rebellions against foreign oligarchs and their government cronies. This cycle has been repeated across Latin America for two centuries. It could be argued that even though being ruled over by Spain wasn’t the best, at least the Spanish crown was obligated to protect the welfare of its subjects. Thus, Spanish rule was better than being utterly exploited by foreigners and local elites. However, I contend that if Spain hadn’t conquered the territory in the first place, the inhabitants would have been much better off. So that’s a no for monarchy. 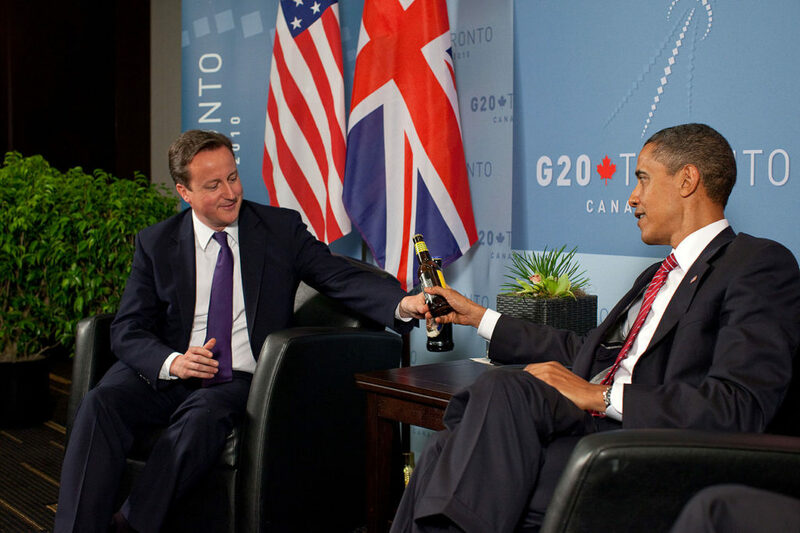 Meeting with UK Prime Minister David Cameron during the 2010 G20 Toronto summit. Source: Wikimedia Commons. As for some of the other points highlighted above, I think the idea of monarchs always being non-partisan is not consistent with reality. Queen Elizabeth II of England and King Felipe VI of Spain are both pretty good about being non-partisan, but the same cannot be said of their family members. For example, Felipe VI’s brother-in-law, was recently caught diverting state funds to private bank accounts. As for the British monarchy, many subjects fear the ascension to the throne of Prince Charles, who has had consistently low approval ratings for the last decade or so. While current Monarchs in these countries are able to keep their private interests from affecting their leadership, future leaders may not be. The problem with monarchs is that whether you like them or not, you’re stuck with them for an awful long time. In the end, it doesn’t make much of a difference whether you live in a constitutional monarchy or democratic republic. Both systems have their advantages and disadvantages. The important thing is that lawmakers are democratically elected and that there is a separation of powers and a series of checks and balances that help keep one branch of government from becoming too powerful. Both the United States and the United kingdom have that. I hope this has been a fun little thought experiment for you. If you have any comments of if you think I got anything wrong, let me know in the comments below. And be sure to check out our new special exhibition Art of the Hunt. Whether you’r an art connoiseur or a tech geek, you’ll be unable to resist leaning in for a closer look at the artfully crafted firearms on display.